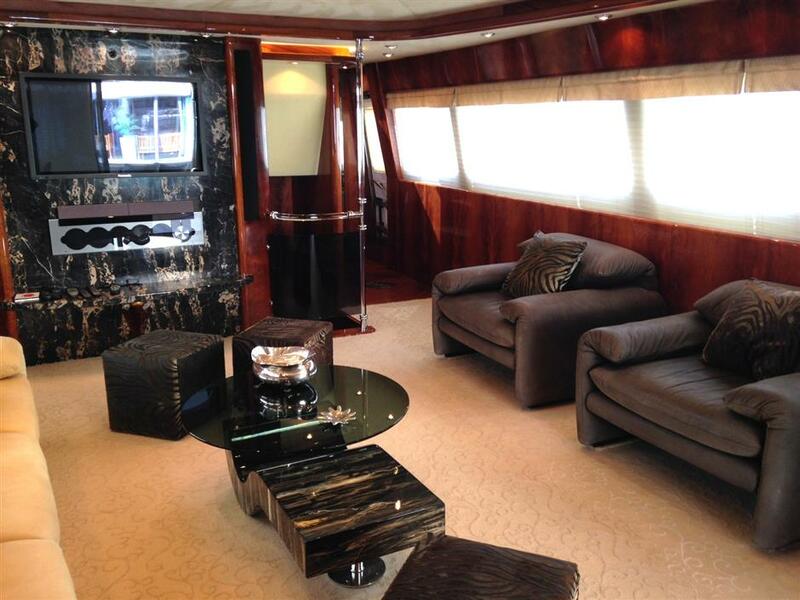 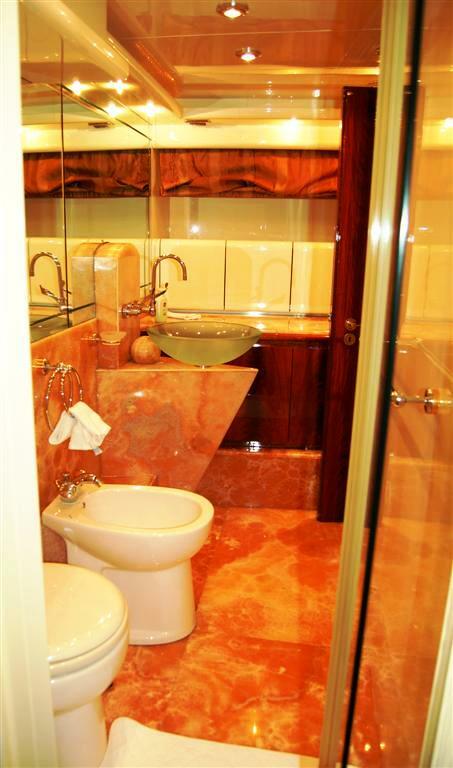 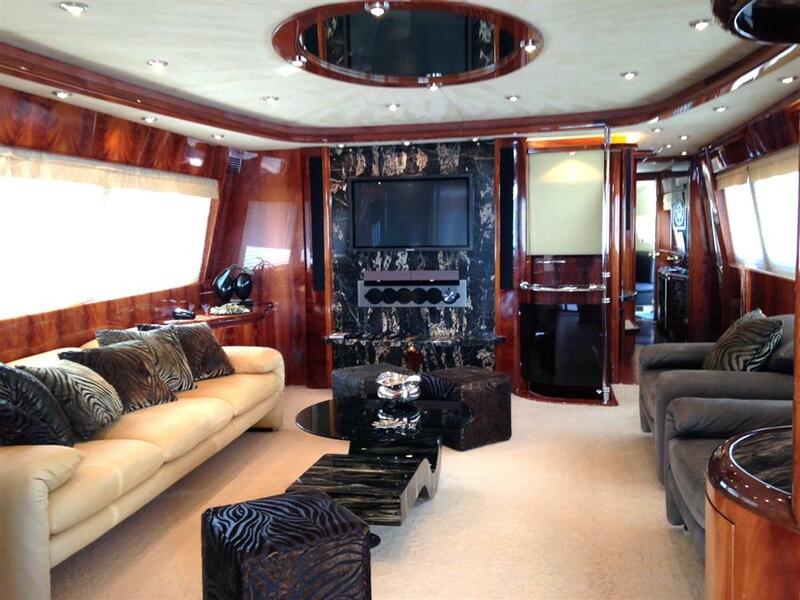 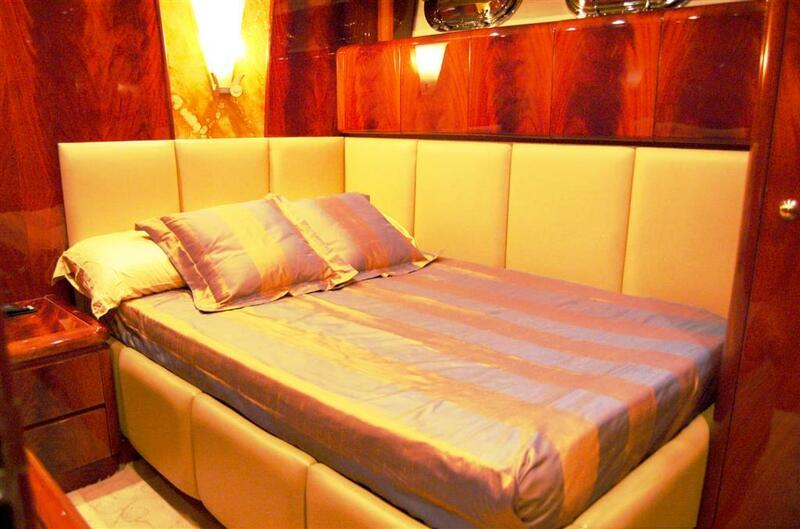 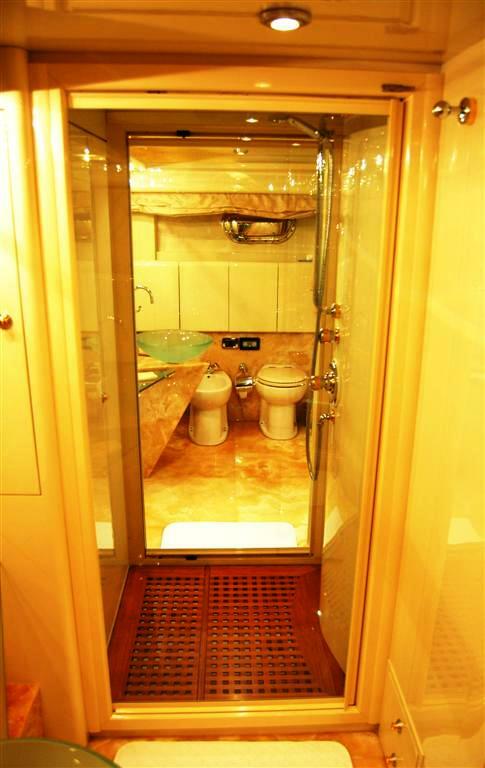 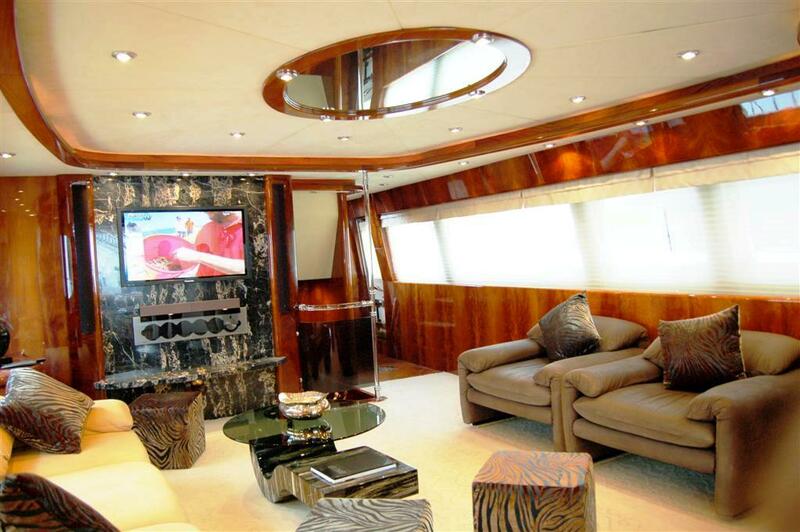 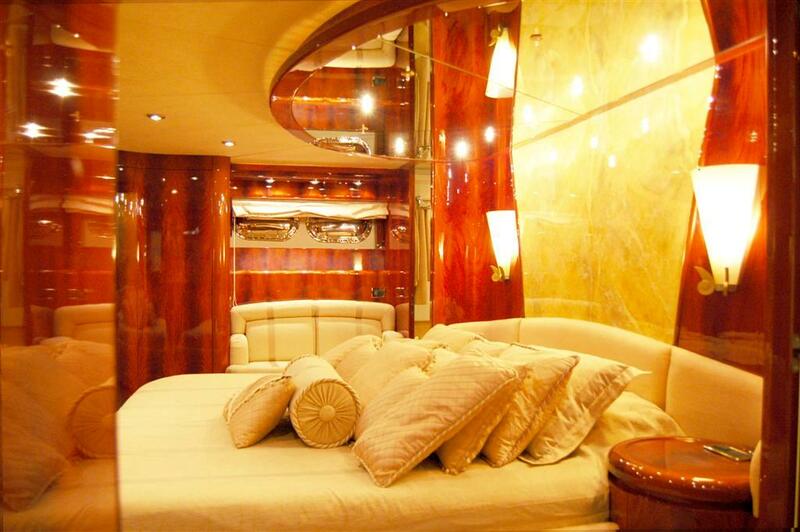 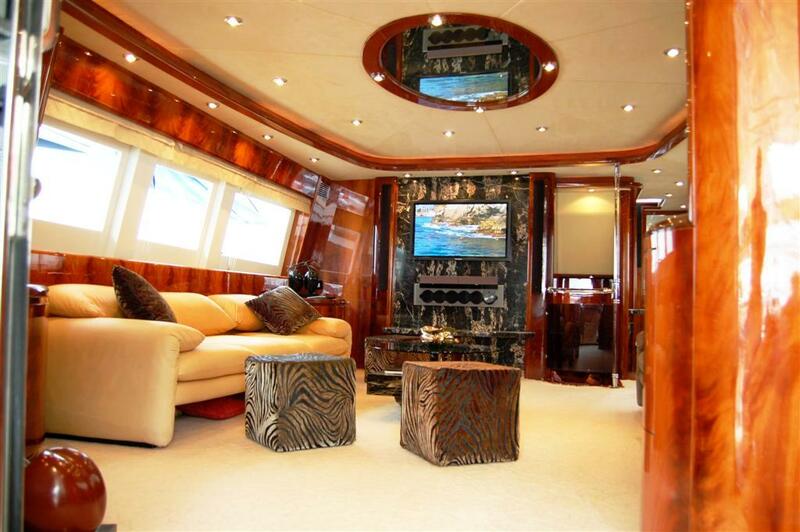 Motor yacht SPARKLING is an Antago 88 measuring 27,00m (88' 6"). 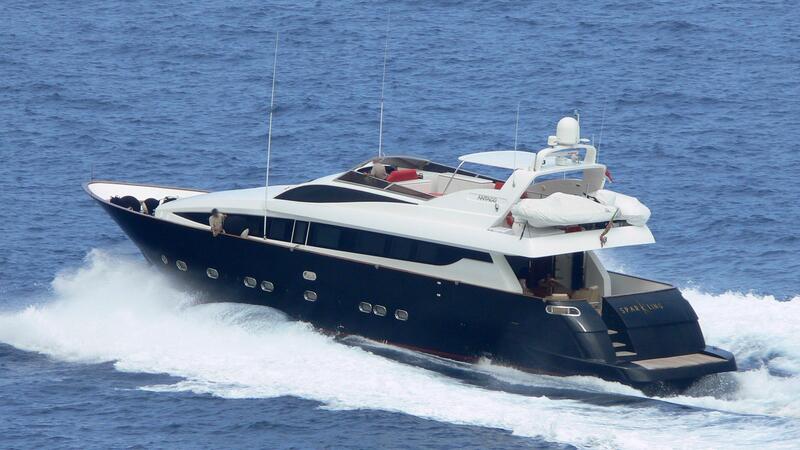 She was built in 2001 and was refitted in 2008. 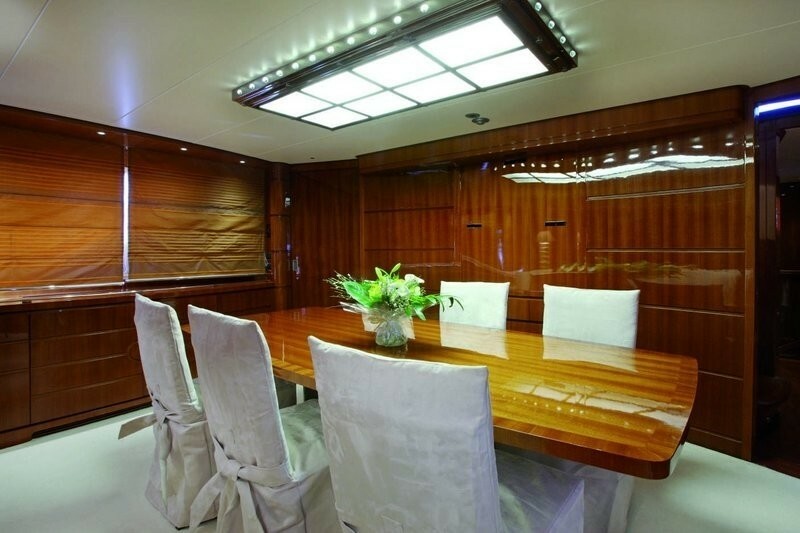 She has a fun interior with a separate salon and dining area while accommodating 8 guests in 4 cabins below decks including a Master Cabin, a VIP cabin, a Double guest cabin and a Twin guest cabin. 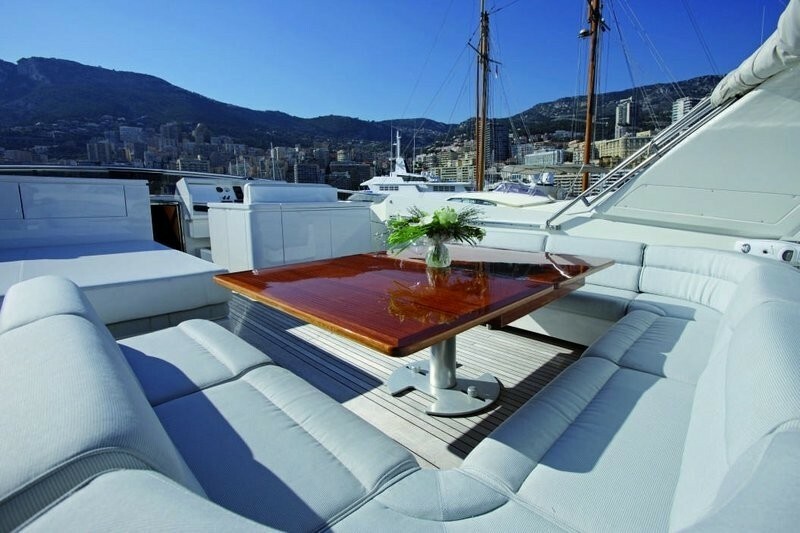 Charter yacht SPARKLING has a very usable aft deck with the possibility to dine alfresco or lounge on the fixed couch at the aft. 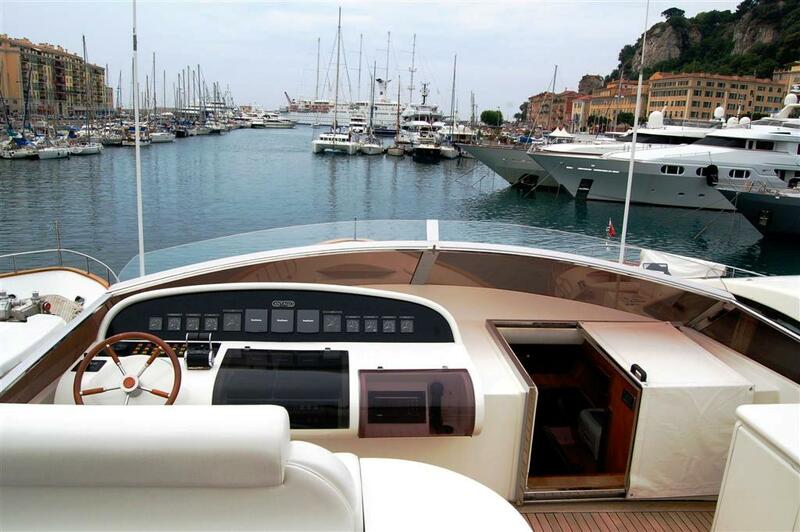 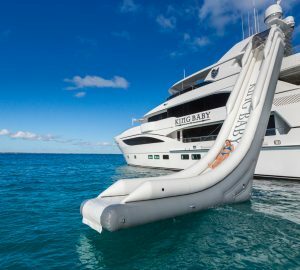 There is also access to the yachts swim platform from the aft deck. 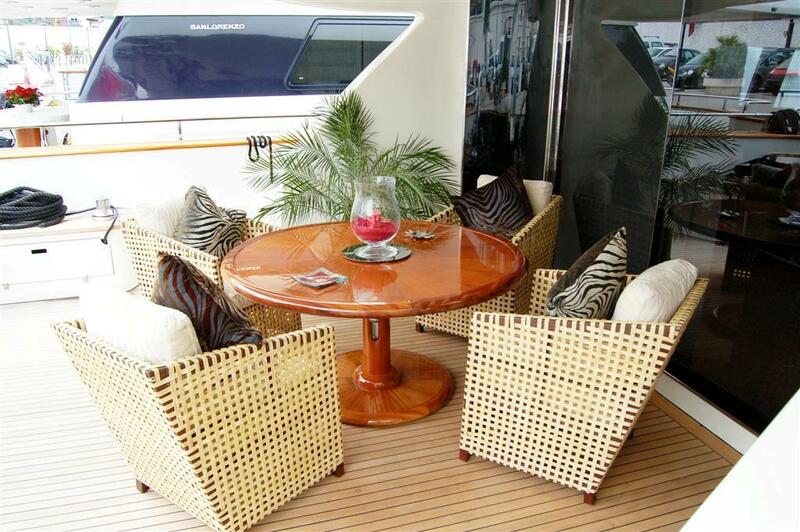 There is a large sundeck which is the favourite hangout for guests. 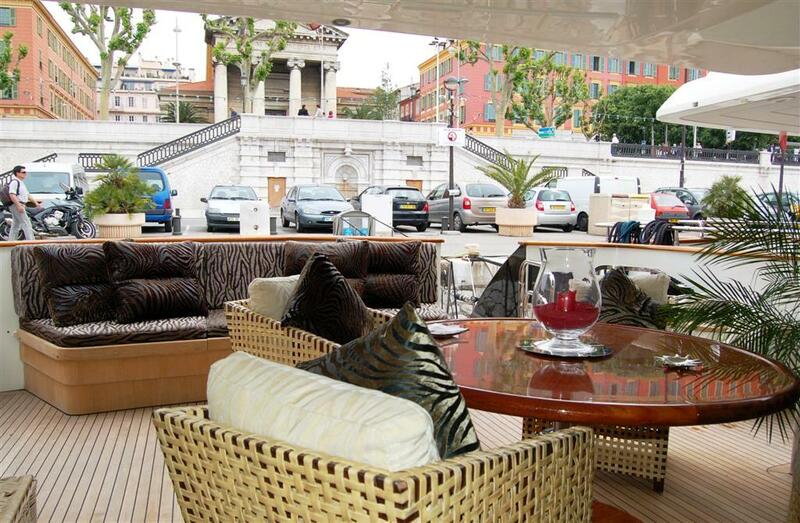 Enjoy dining alfresco, lounging in the sun or under the shade and sip cocktails as you watch the magical view pass by. 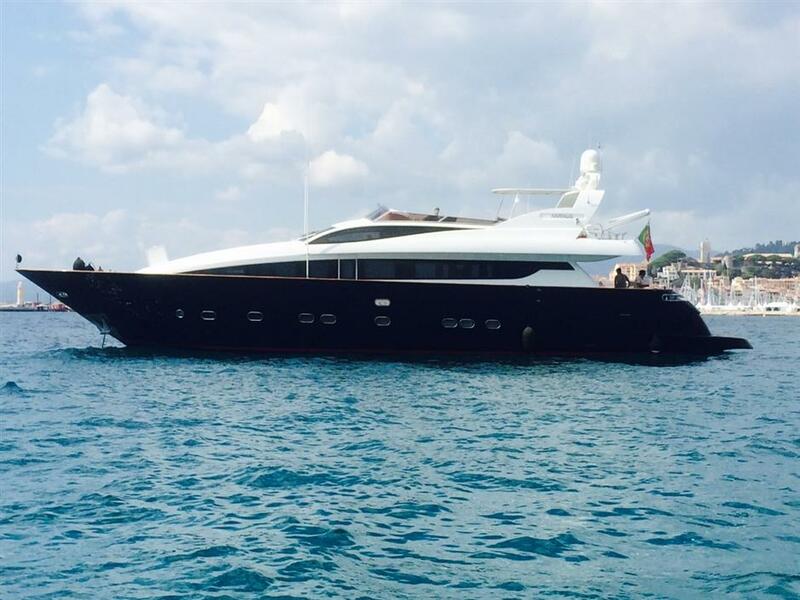 Motor yacht SPARKLING has a twin MTU x 1800 hp engines enabling her to reach speeds to 21 knots cruising and 23 knots maximum. 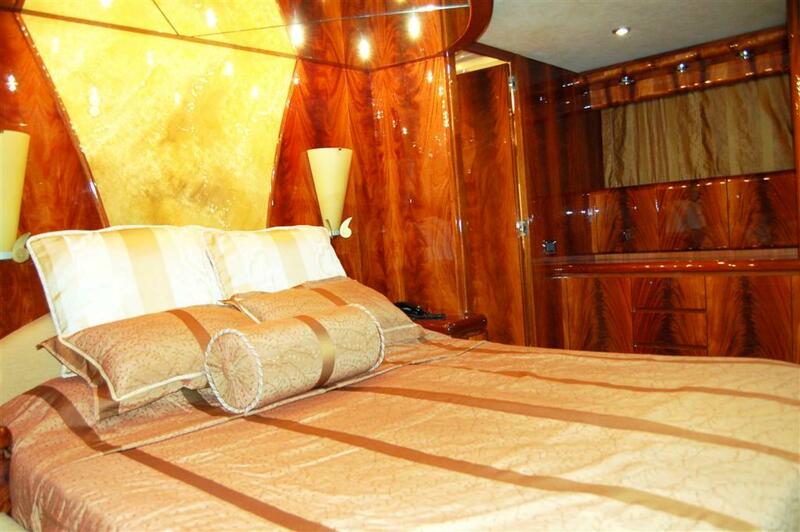 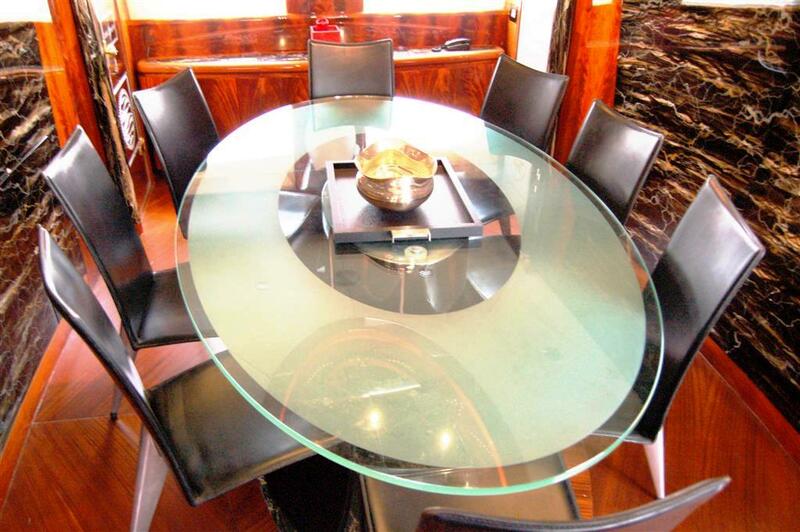 There is a professional crew of 4 who will cater to the charter guests. 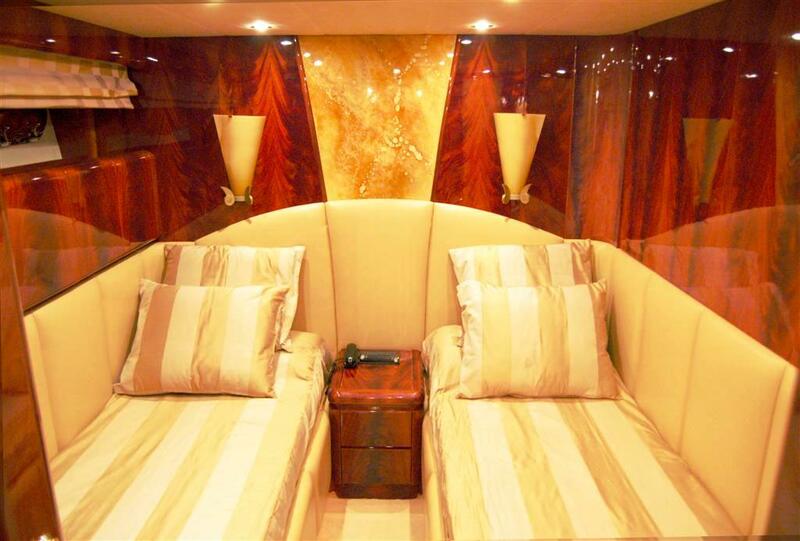 Accommodation is offered for 8 guests in 4 cabins, including a Master Cabin, a VIP cabin, a Double guest cabin and a Twin guest cabin. 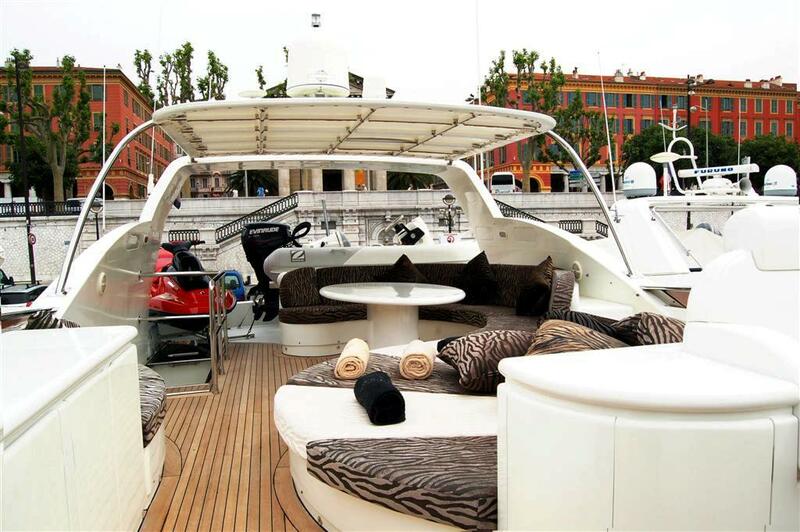 Tenders and Toys include a Jet ski - Sea doo - 110 hp, Zodiac - 4,20m - 20 hp and water skis. 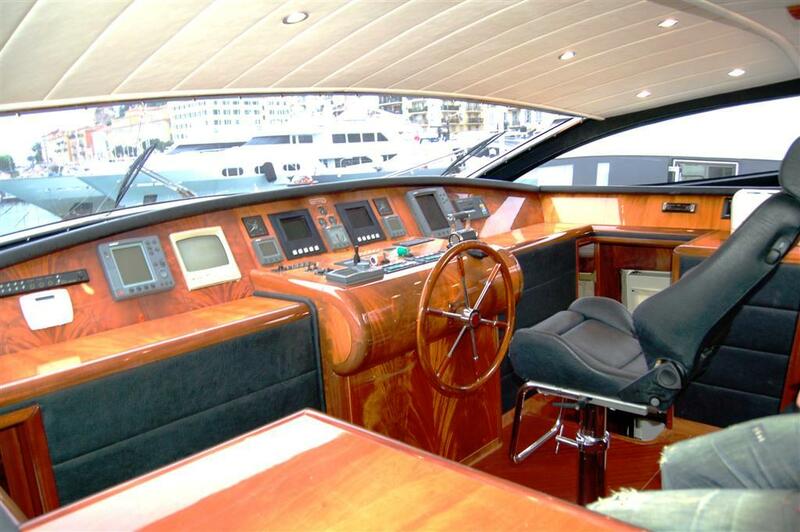 Communications include satellite communication, VHF, Mini m, radar, GCM SS. 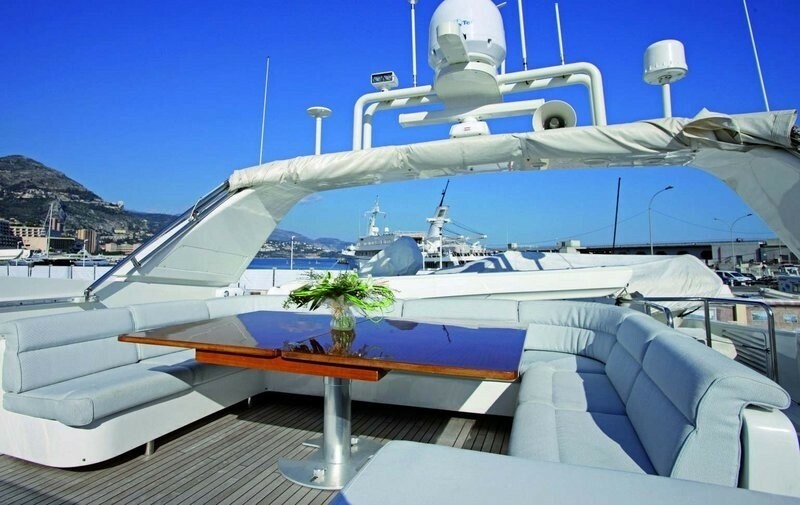 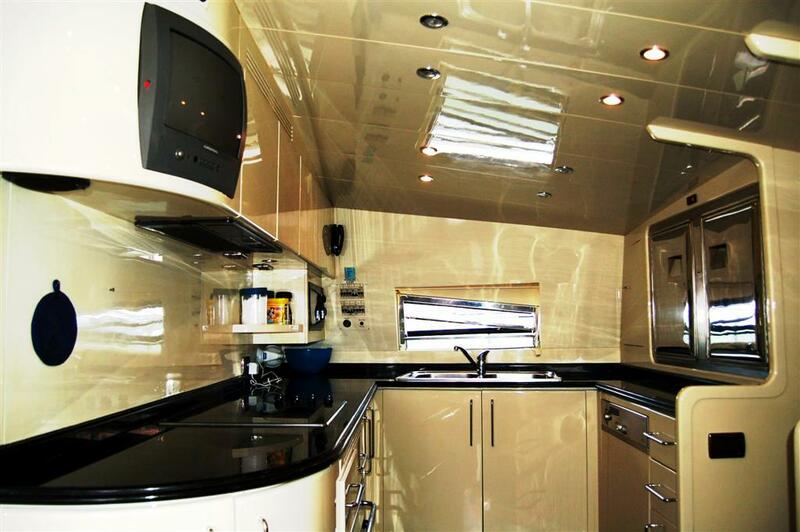 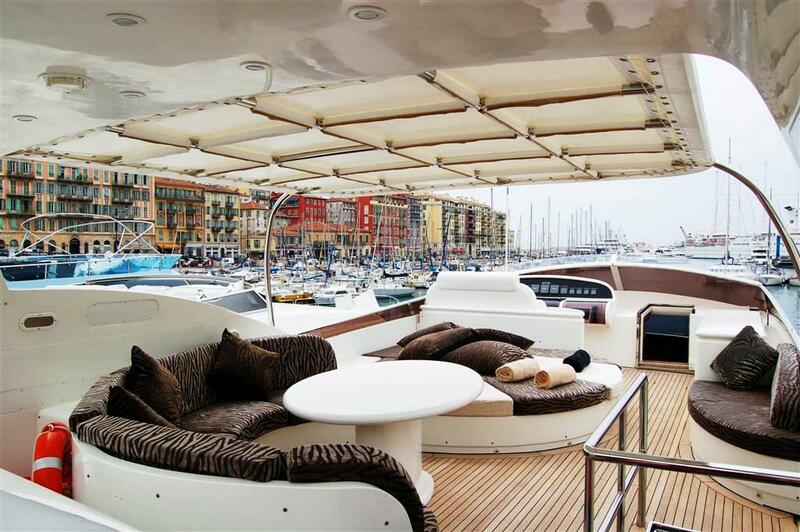 Audio Visual Equipment and Deck Facilities include Satellite TV, Mini m.